Description: A priest holds the Virgin of Zapopan as she is brought to Lake Chapala. The bishop of Guadalajara prayed for the health of the dying lake during the annual visit. 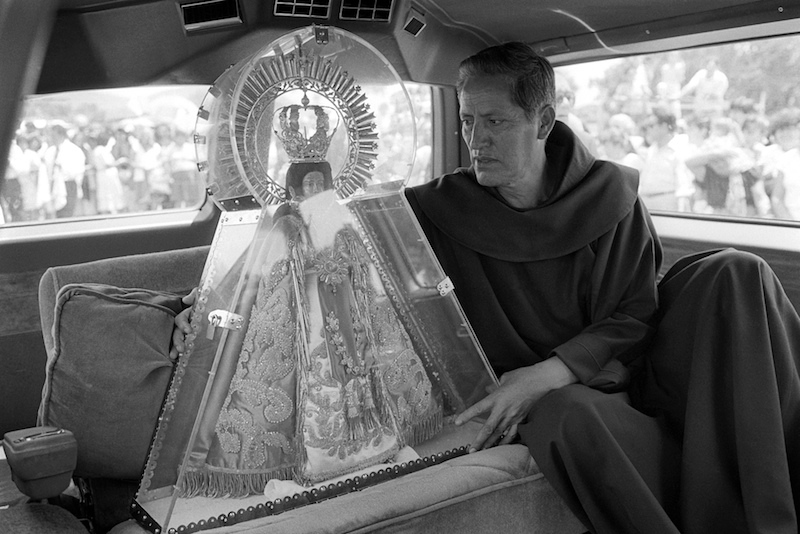 Caption: A priest holds the Virgin of Zapopan as she is brought to Lake Chapala. The bishop of Guadalajara prayed for the health of the dying lake during the annual visit.